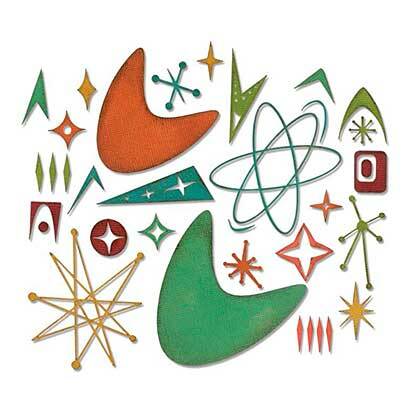 These retro dies from the Alterations Collection by Sizzix will add a unique flair to all of your science-themed layouts, cards, birthday party invitations and more! Package includes: 25 wafer thin dies that range in dimensions from 0.375" x 0.875" to 2.5" x 2.7". Most of the dies are a great size to use in your small Sidekick die cutting machine (sold separately).